Natural Bodybuilding Tip of the Day: Don't Ever Give Up! Natural Bodybuilding Tip of the Day: Don’t Ever Give Up! 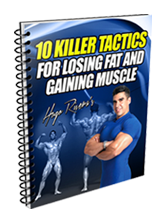 1- They don’t have a solid natural bodybuilding plan that will take them from A to B, and thus, they get frustrated due to lack of results. 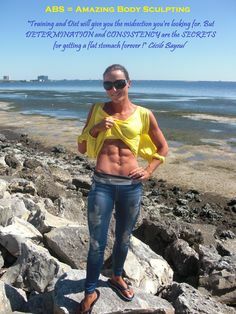 If this is the case, then you have landed on the right website as if you take a look at my Getting Started in Bodybuilding article, there is a plan that will take you from absolute beginner to advanced. 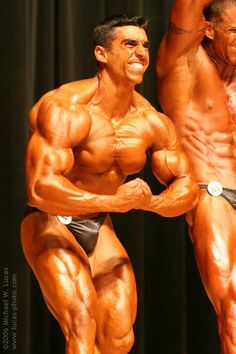 2-They get discouraged easily and toss away their natural bodybuilding program when they compare themselves against people that are at the level that they want to be. My advice here is to remember that Rome was not built in one day and you have to stay focused! Remember, that all of the guys or girls who have the level of fitness that you are striving for all started out at the very beginning just like you are right now. Even I (yes, me) started out in very bad shape. If you saw how overweight I was before I ever started to diet and exercise, you would not believe it. Take bi-weekly pictures of yourself, record your measurements every month, and track your progress by using a bodybuilding journal. All of these items (especially the pictures) will show you how you are progressing, and this will keep you extremely motivated. 3-Don’t pay attention to negativity. There are always people that when you start your bodybuilding journey will put you down with negative comments. Most of those comments come from plain jealousy. I have noticed that whenever a person begins to make their own path and starts to differentiate themselves from others, that always sparks some jealousy in some people. My advice is to completely disregard any negativity and just stay focused. There is no room for negativity in the mindset of a successful bodybuilder (refer to my article on the Mindset of a Successful Bodybuilder). Trust me when I tell you that once you have the body that you want most of the same people that criticized you will come to you for advice! 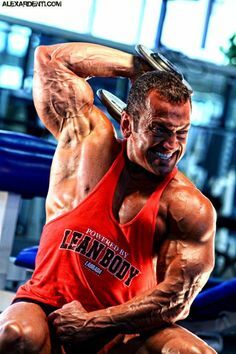 Natural Bodybuilding FAQ-How To Get Big Arms? 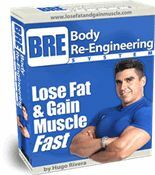 Belinda Benn / Hugo Rivera Bodybuilding and Fitness Interview – Is 40 Years Old Too Late to Get The Body Of Your Dreams?